Gurpurab: A Celebration Or Call To Action? For my 100th post, I’d like to share a speech I delivered at the gurdwara this past Sunday for Guru Nanak Patshah’s gurpurab. It asks us to reflect on what a gurpurab is…a celebration or call to action? As a kid growing up, I never had much interest in Sikh History. I would sit in khalsa school doodling on a piece of paper or staring out the window as our teacher would read us the same janam sakhis I heard over and over throughout my childhood. I was, however, very interested in American history, particularly the civil rights era. Activists like Dr. Martin Luther King Jr. and Malcolm X particularly inspired me because of their passion for social justice. I wasn’t interested in Sikh history, but I was very interested in revolutionaries. It wasn’t until a gurmat camp I attended in my teenage years that I was really introduced to the life of Guru Nanak and came to realize that Guru Sahib was the ultimate revolutionary. 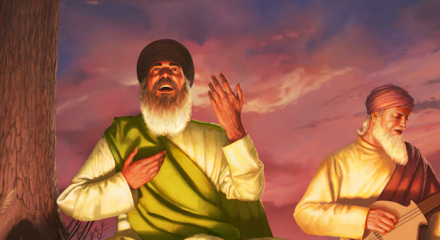 Wherever social injustice existed, Guru Sahib spoke out. Whereas society was delineated by caste, designed to keep power with the few, Guru Sahib created a parallel society based on equality, sharing, and dignity. Whereas women were positioned as lower than the lowest caste, Guru Sahib empowered women by prohibiting practices that lessened their role or potential. And when the manji system was established, women were not only active participants, but also held leadership positions in the sangat and were expected to help spread Guru Sahib’s message. Whereas religious discourse was only reserved to the highest caste, Guru Sahib spread his new message to the masses, so that everyone could be inspired. Every way in which society was designed to suppress an individual, to limit their potential, to leave them powerless, Guru Sahib found a way to take the common man and uplift them and empower them, so they could ultimately challenge that very establishment that suppressed them. Unfortunately, we still live in a world with rigid inequality – all kinds – race, gender, socio-economic, even caste. And we only have to turn on the evening news for a few minutes to see what dictator is oppressing a minority somewhere in the world. So I would submit that Guru Nanak’s revolution is not complete. In fact, it was Guru Nanak in his 10th form that established the khalsa with the intention of continuing Guru Nanak’s revolution in our modern day. And if you agree with me, then we must re-think what today really means to us and how we celebrate our gurpurabs. Guru Sahib began a revolution…he did not tell us to go off to the hills in seclusion and meditate all day. Instead he wanted to us to live in this world, to inspire ourselves through baani, simran, reflection, to live a disciplined life according to his teachings, so we can ultimately continue out his mission…and serve humanity. So if today we simply listen to shabad’s written by Guru Nanak and all of us wish each other gurpurab di mubarak and go back home and on with our lives, then we will have done a great disservice…we will have missed the point. In Sikh tradition, we don’t just celebrate…we reflect on the Guru’s teachings and try to live it. Our gurpurab is not a celebration…it is a call to action. When I ask the kid’s in our class or at any camp, what do you think of when we say ‘Guru Nanak’? The answer is almost always the same – Naam Japna, Vand Chakna, and Kirt Karni – the three golden rules. Although I grew up with these same golden rules, I wonder, where did it come from? 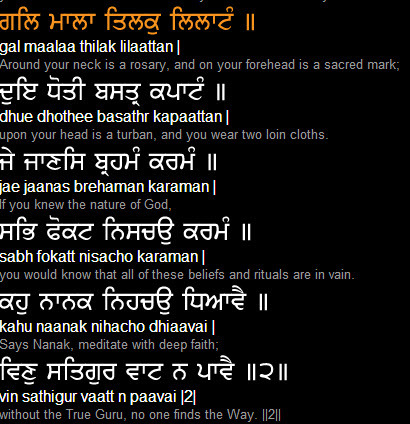 I’ve read books dating back 100 years that refer to these same golden rules, but of Guru Nanak’s entire body of work, who decided on these as the golden rules? And why did we limit ourselves to these three? Perhaps it is because they can easily be checked-off – if I do my paath, share, and not cheat people for money, I’ve accomplished all three, right? But 500 years later, with the challenges we have before us, I argue we need to add to this list of golden rules – for ourselves and for our children…it’s time we up our game. Social activism. During Babur’s invasion, Guru Sahib did not sit quietly. And although he did not have an army behind him, he used his pen and his voice to speak out, and called out Babur for the tyrant he was. Today, there is injustice all around us. And I was impressed by the GNFA Khalsa School students who remembered Bandhi Chor Divas last week by writing 115 letters for Amnesty International to free an innocent political prisoner in Angola because he wore a t-shirt protesting the president…this is the way we celebrate. Self-awareness. Letting go of my ego long enough to look within myself, to reflect on my shortcomings and make change. Letting go of my ego long enough to see the oneness of all, to see Waheguru in all beings – whether it is people of different races, faith, beliefs, people who love, people who hate…seeing Waheguru in everything and everyone and therefore having compassion toward all. Humility. The 1st graders are learning about Guru Sahib’s interaction with Bhai Lalo and Malik Bhago. I’ve heard the sakhi hundreds of times, but last week hearing it again, it hit home. When given the chance to dine with a king, Guru Sahib refused. He preferred the company of Bhai Lalo, the poor carpenter…for what reason? And it makes me wonder in my struggle for success and to provide the best for my family, am I spending enough time with the Bhai Lalo’s of the world…what am I missing? What lesson could I be learning? By bringing these principles of gurmat in to our lives and developing our relationship with the Guru, the personality of Guru Nanak comes alive. His desire to learn, his pursuit of justice, his compassion, his humility, his love for humanity…what better way to celebrate his life? Here in America, we are constantly finding ways to explain to people who Sikhs are and what Guru Nanak was all about. But the best way we can educate people about Sikhi is not by telling people about Guru Nanak, it’s about showing them the Guru Nanak within you.